32 They also led two other criminals to be executed with Jesus. 33 When they arrived at the place called The Skull, they crucified him, along with the criminals, one on his right and the other on his left. 34 Jesus said, “Father, forgive them, for they don’t know what they’re doing." They drew lots as a way of dividing up his clothing. We’re about to hear seven words that the gospels place on the lips of Jesus as he hung on the cross of Calvary that first Good Friday. Each gospel tells the story a bit differently, sharing different words, that when taken together provide us with a deeper engagement with what the cross means to our lives in the 21st century. The first word speaks of forgiveness, but before we hear this word, we need to remember how we got to this point. We could go back nearly a week to Jesus’ triumphal entry into Jerusalem, where the crowds hailed him King. We might go back one night to Jesus’ final Passover meal, when he instituted for us a new covenant meal or to the garden where a mob came to arrest him as he prayed. We should remember the encounters with religious and political authorities that led to his being sentenced to die on a cross. Pilate decided to have him crucified, hoping that this cruelest of forms of execution would nip in the bud what he thought was a brewing rebellion. 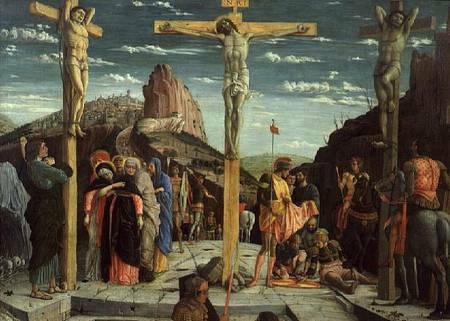 Crucifixion was used as a reminder to the populace that Rome would do whatever was necessary to maintain order. So, having been tried and beaten nearly to death, Jesus was led through the streets of Jerusalem to a place known as The Skull, and there the soldiers hung him on a cross so that he might die a painful and humiliating death. To his right and to his left were two others who would share a similar fate. As is often true of public executions, a crowd gathered to watch. They shouted insults and mocked him. Religious leaders, soldiers, even one of the men being crucified with him taunted him. No one was singing “Look on the Bright Side of Life.” At this moment in time there wasn’t anything worthy of celebrating. But who did Jesus have in mind as he offered this prayer? And is it true that the recipients of his forgiveness are ignorant of their actions? Do they, do we, not understand the ramifications of our decisions? Yes, for whom was he asking forgiveness to be extended? The soldiers who had nailed him to the cross and who were now trying to divide up his clothes? The religious establishment that had collaborated with the imperial government to sentence him to death? The disciples who deserted him after his arrest? Could it be you or me? Are we numbered among those for whom Jesus is interceding from the cross? As we hear these words, what do they mean for us? How do you forgive someone who has harmed you or someone you love? Deeply rooted in our psyches is this need to set things right, and that usually means getting even. We might expect Jesus to ask that God would strike down his tormentors. There’s something primal about the need to avenge wrongs. Whether we do it or we let the government do it, we want justice. Forgiveness is not easily offered. In fact some of our theologies of the cross suggest that God is incapable of forgiving us unless some act of retribution be accomplished. Jesus therefore becomes our substitute, receiving God’s just punishment for our sins. And yet, these words from the cross are very different. They are simply words of forgiveness, putting an end to this cycle of vengeance and violence. When it comes to forgiveness, the point is reconciliation. Forgiveness is meaningless unless broken relationships are restored. And is this not what is taking place on the cross. 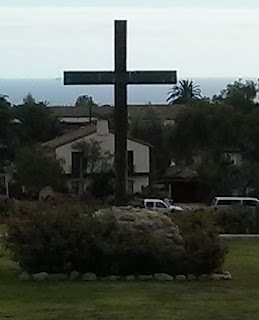 As Margaret Bullitt-Jones writes, “the cross of Christ is the place where the suffering and evil of the world are met by God’s infinite compassion and mercy.” [Margaret, Bullet-Jones, Christ’s Passions, Our Passions, (Cowley, 2002), p. 17.] In other words, what was meant as evil is reversed, and God brings good from it. Compassion meets violence, and reconciliation ensues. In praying these words -- “Father forgive them” Jesus asks that God not hold these acts of ignorance against those who have joined with a system of dominance that is at its base evil. We’ve been collaborators with a system that oppresses the people, but we do this in ignorance. We’ve forgotten to whom we belong, and in this act of forgiveness, a new day begins. The old creation gives way to the new creation. The reign of God begins to take hold. The cross is the system’s last gasp attempt to keep hold over our hearts, minds, and bodies. With this word, Jesus announces that the old system of violence has come to an end. Following the path of forgiveness isn’t easy. The reign of God may have begun, but the system continues to resist. Forgiveness has been offered, but not fully received or implemented. Still the word has been given, and we are invited to participate in this new realm of compassion and mercy, which Jesus implemented in this word from the cross. Ultimately, our ability to live into this word depends on our willingness to entrust our lives into the hands of God, even as Jesus does in this moment on the cross. This message was offered as the First Word of The Seven Last Words of Christ at the Troy Community Good Friday Service, held at First United Methodist Church on April 6, 2012.